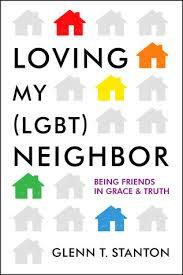 As any author is, I was delighted to see Christianity Today has just given my new book Loving My (LGBT) Neighbor a very thoughtful and positive review. The reviewer clearly read the book very seriously which I appreciate and, I think, nicely captured the primary meat, spirit and key nuances of the book. However, she doesn’t seem to care for my sense of humor. Oh well, I’ve been told worse. You can read the print version here: CT review of LGBT. The web-version (limited access) is here. Share it with your dearest loved ones this holiday season!